NEW YORK (AP) — American International Group will sell a second overseas life and health insurance unit for $15.5 billion to MetLife Inc. in an ongoing bid to repay billions in government aid. It was the second major deal AIG completed this month to raise cash. 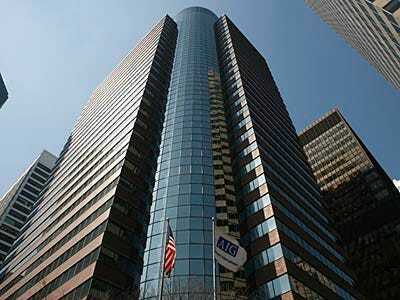 On March 1, AIG agreed to sell Asia-based life insurer, AIA Group, to Britain’s Prudential PLC for $35.5 billion. MetLife will get a much larger presence in Japan as well as high-growth markets in Europe, the Middle East and Latin America. Alico operates in more than 50 countries. In the deal announced Monday, MetLife will pay $6.8 billion in cash for Alico. The rest will be paid in stock and equity units. The cash portion will be used immediately to pay down an investment in AIG by the Federal Reserve Bank of New York. The equity portion of the deal will be sold over time to help further repay that debt. “Both sales give AIG greater flexibility to move forward with our restructuring and rebuilding efforts,” said AIG Chairman Harvey Golub. Including the latest sale, AIG will be able to slash its government debt by $50.7 billion, or 39 per cent. Before the sales of AIA and Alico, AIG owed the government $94.76 billion in loans and its outstanding government assistance totaled $129.26 billion. All the cash and stock AIG received from selling Alico to MetLife will be used to repay the government. AIG received $25 billion in cash from the AIA sale and another $10.5 billion in stock and equity units. Like in the Alico sale, that stock and equity will eventually be sold to repay the government. AIG’s outstanding government debt will be around $78.56 billion once the two deals are completed and the stock and equity units in MetLife and Prudential are sold — assuming current market values for the MetLife and Prudential stakes. Of that $78.56 billion, AIG will owe the government $44.06 billion. The remaining $34.5 billion in outstanding assistance is tied to the value of investments the government bought from AIG. As those investments pay off or rise in value, the government recoups more money. AIG and MetLife are based in New York. AIG shares jumped 92 cents, or 3.3 per cent, to $29.00 in premarket trading. MetLife shares rose $1.59, or 4.1 per cent, to $40.51.